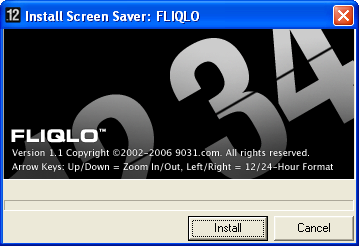 Fliqlo is a screensaver that displays the current time through a virtual clock like any one that you could find in a typical office. 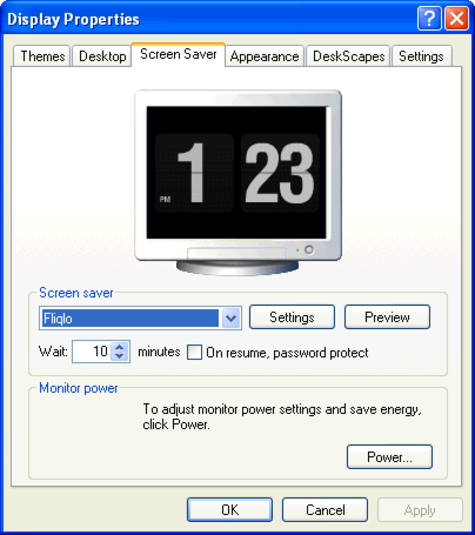 Once the computer goes into standby mode, it displays a clock like the ones station halls. It is very easy to take in hand because you just install it. It will automatically synced with the clock of the machine. 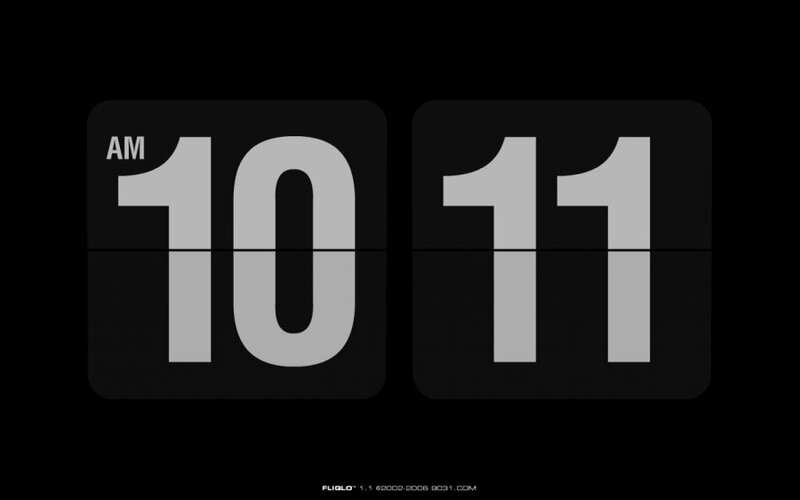 In short, this is a simple screen saver that shows the time while protecting the monitor against any effects from extend inactivity.